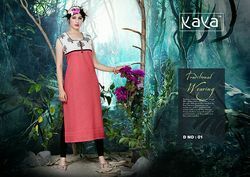 Pioneers in the industry, we offer fashion kurtis, college girl kurtis, flower printed kurtis, double color kurti, elegant party wear kurti and sleeveless kurtis from India. We are the Leading Supplier,Trader ,Exporter and Wholesaler of Fashion Kurtis in Chennai,Tamilnadu,India. We are the Leading Supplier,Trader ,Exporter and Wholesaler ofCollege Girl Kurtis in Chennai,Tamilnadu,India. We are the Leading Manufacturer,Supplier and Exporter of Double Color Kurti in Chennai,Tamilnadu,India. Our offered suits are designed using fine fabric that is procured from the most reliable and reputed vendors of industry. The entire ranges of meticulously designed suits are provided with traditional and timeless elegance. We offer these suits to our valuable clients at rock-bottom prices. We are the Leading Trader, Supplier, and Wholesaler of Elegant Party Wear Kurti in Chennai, Tamilnadu, India. Delivery Time: A week from the day of an order placed. Yaseen Tex deals in the large range of products like unique Exclusive Designer Sarees, fancy Embroidered Sarees, Salwar Suits and Kurtis. All our Salwars and Kurtis are designed by our best designers and we pride ourselves on our products made only in limited numbers or one of a kind. Import duties, taxes, and charges are not included in the item price or shipping cost. These charges are buyer’s responsibility. Kindly check with your country’s customs office to determine what these additional costs will be. We are the Leading Supplier,Trader,Exporter and Wholesaler of Sleeveless Kurtis in Chennai,Tamilnadu,India. We are the Leading Trader,Supplier and Wholesaler of Neck design kurtis in Chennai,Tamilnadu,India. We are the Leading Supplier,Trader,Exporter and Wholesaler of Long Kurtis in Chennai,Tamilnadu,Inidia. We are the Leading Supplier,Trader and Wholesaler of Full Sleeves Ladies Kurtis in Chennai, Tamilnadu, India. We are the Leading Supplier,Trader and Wholesaler of Plain Cotton Kurtis in Chennai,Tamilnadu,India. We are the Leading Supplier,Trader,Exporter and Wholesaler of College Girl Kurtis in Chennai,Tamilnadu,India. We are the Leading Manufacturer,Supplier and Exporter of Elegant Party Wear Kurtis in Chennai,Tamilnadu,India. We are the Leading Supplier,Trader ,Exporter and Wholesaler of Full Sleeves Ladies Kurtis in Chennai,Tamilnadu,India. We are the Leading Supplier,Trader,Exporter and Wholesaler Fashionable Tops of in Chennai,Tamilnadu,India. We are the Leading Supplier,Trader and Wholesaler of Trendy Tops in Chennai,Tamilnadu,India. 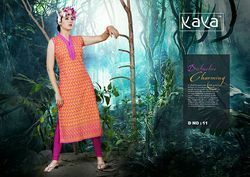 We are the Leading Supplier,Trader and Wholesaler of Kaya Kurtis in Chennai,Tamilnadu,India. We are the Leading Supplier,Trader,Exporter and Wholesaler of Wholesale Straight kurtis in Chennai,Tamilnadu,India. We are the Leading Trader,Supplier and Wholesaler for Cotton Printed Kurti in Chennai,Tamilnadu,India. We are the Leading Supplier,Trader,Exporter and Wholesaler of Full Sleeves Kurtis in Chennai,Tamilnadu,India. Getting the desires of customers as a manufacturer, exporter, trader and supplier, we are engaged in offering Coat Style Kurti. The offered range of net salwar kameez becomes the first choice of ladies because of its appealing design patterns. Our provided collections are available in several color combinations which suits the needs of our customers. Along with this, we are providing this collection in diverse attractive color combination & designs. We are the Leading Supplier,Trader,Exporter and Wholesaler of Shirt style kurti in Chennai,Tamilnadu,India. We are the Leading Supplier,Trader and Wholesaler of Casual Short Kurtis in Chennai,Tamilnadu,India. We are the Leading Supplier,Trader and Wholesaler of Western Style Kurtis in Chennai,Tamilnadu,India. Keeping in mind the diverse requirements of our clients we are involved in offering an extensive range of Anarkali type short kurtis. These are available in various sizes and different patterns as per the choice of our clients. We are the Leading Supplier,Trader and Wholesaler of Colorful rayon kurtis in Chennai,Tamilnadu,India. We are the Leading Trader,Supplier and Wholesaler of Anarkali kurtis in Chennai,Tamilnadu,India. We are the Leading Manufacturer,Supplier and Exporter of Different color kurtis in Chennai,Tamilnadu,India. We are counted as leading manufacturer, supplier and exporter of Grown style kurtis. Our offered salwars designed using fine grade fabric, are known for detailed finishing and color fade resistant traits. 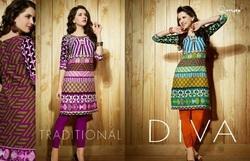 Extensive ranges of these captivating salwars are available with us in wide variety of designs and sizes. Moreover, these suits are offered to our clients in tamper proof packaging at affordable price tags. Keeping in sync with the time, we are engaged in offering very fashionable Striaight cut kurtis with excellent finish. The provided suit is stitched by our skilled designers using the finest quality fabric and the latest stitching machinery in compliance with the modern standards of the fashion industry. We are the Leading Trader,Supplier and Wholesaler of Casual designer kurtis in Chennai,Tamilnadu,India. 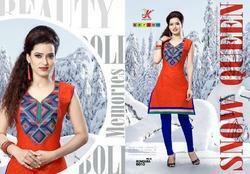 We are the Leading Supplier,Trader,Exporter and wholesaler of Attractive color kurtis in Chennai,Tamilnadu,India. We are the Leading Supplier,Trader,Exporter and Wholesaler of Sleeveless Tops in Chennai,Tamilnadu,India. We are the Leading Supplier,Trader and Wholesaler of Long designer kurtis in Chennai,Tamilnadu,India. We are the Leading Supplier,Trader ,Exporter and Wholesaler of Crepe printed kurtis in Chennai,Tamilnadu,India. Our vast experience of garment industry makes us to offer premium quality Pakistani kurtis. The offered range of suits becomes the first choice of ladies because of its appealing design patterns. Our provided churidar suits range is available in several color combinations which suits the needs of our customers. What’s more, we are providing this selection in diverse attractive color combination & designs. We are the Leading Supplier,Trader and Wholesaler of Long Cotton Kurtis in Chennai,Tamilnadu,India. We are the Leading Supplier,Trader ,Exporter and Wholesaler of Casual Ethnic Kurtis in Chennai, Tamilnadu, India.